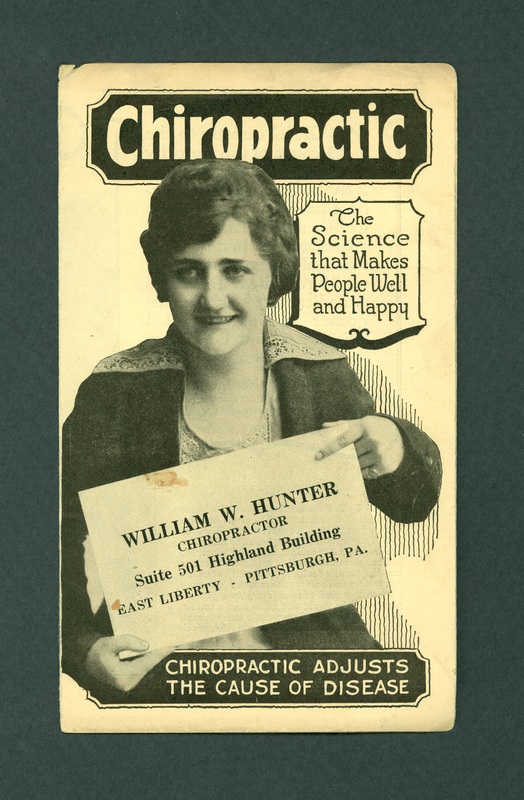 By means of advertisements such as this one shown here, chiropractors competed with physicians, who would have generally thought such promotion inappropriate. 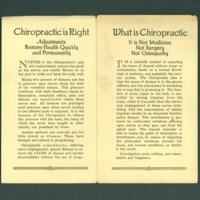 Inside is a chart showing ten spinal points where "subluxations" cause various ailments - for instance No. 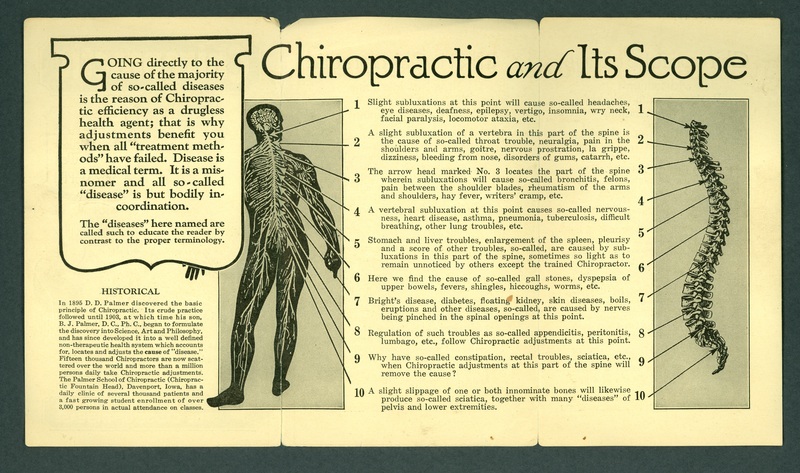 6: "Here we find the cause of so-called gall stones, dyspepsia of upper bowels, fevers, singles, hiccoughs, worms, etc." 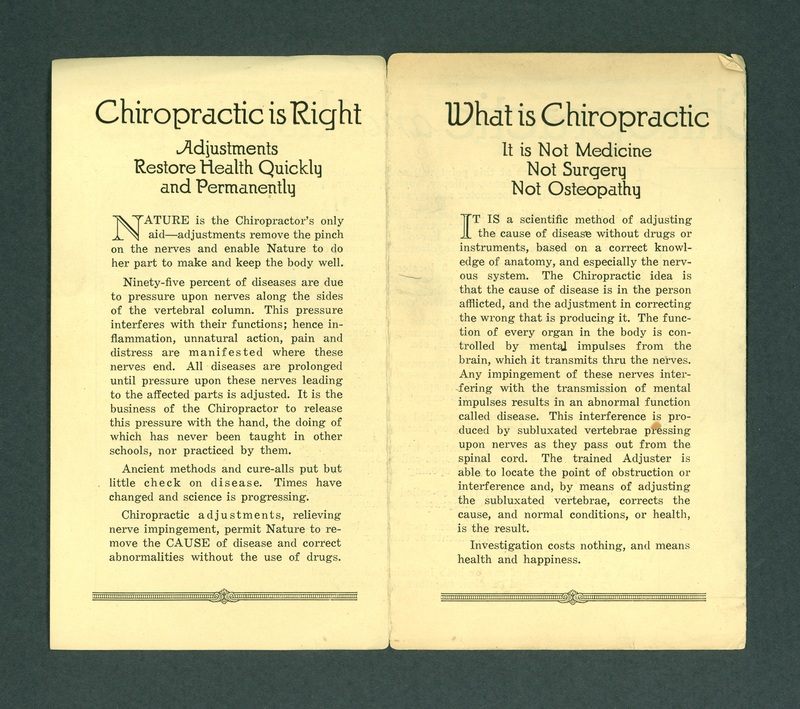 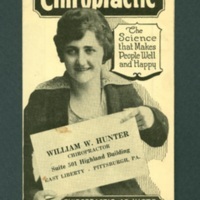 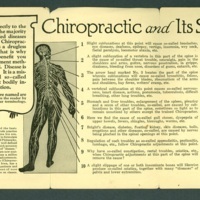 William W. Hunter, “Chiropractic pamphlet,” The Skeptiseum, accessed April 19, 2019, http://skeptiseum.org/items/show/179.